Various graphics projects for an independent consultancy offering impartial transportation planning advice and engineering design solutions. 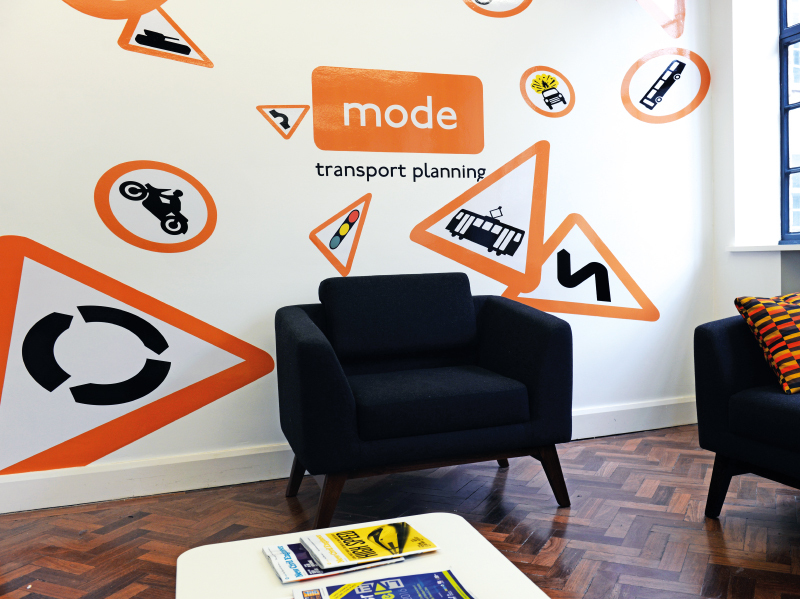 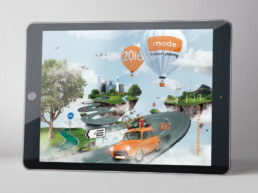 These projects include the design of a wall graphic, based on descending transportation signage for mode’s Birmingham head office.Production of online marketing campaigns with branded printed internal and promotional material. 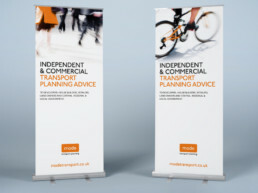 Further creation of exhibition material to promote key initiatives. Illustrative photographic visuals were created based upon existing photographs to give the look and feel of the Urban Design and Transport proposals. Each visual was photographically crafted to give the client good value with high impact.